← It’s okay to know they like our folklore, but please do NOT SAY is yours! Bolivian Thoughts opinion: Current president believes he is the hole of the doughnut ,,. he has misled Bolivian population with his absurd political alliances with Syria and Libya prior to their individual catastrophes; he embarked in alliances with Iran, Cuba, Venezuela and the ALBA, which turned out to be pure demagogue. He engaged in humongous loans with the Chinese and hired them to build most of the infrastructure that endorsed his delusional state-owned-companies, resembling the delusions of statism of mid 20th century. He considers Russia will come and invest … so far, there are NO investors that are willing to come as there is no certainty about the seriousness of this government who continuously fails to honor its commitments. He wasted close to $200 billion dollars over the last twelve years. Our best economic times ever under the worst possible type of government. Bolivia lost not only its credibility with the global market but also destroyed our competitiveness. evo recently lifted the export quotas, as he faces complicated political pressure from all Bolivian society due to his infamous penal code, that must be abrogated. His egocentrism is leading Bolivia and he wishes to continue after 2019 … while Bolivian society is reaching its tolerance levels … he must finish his illegitimate term and leave, so we can rebuild our Republic. From being an integrating country and participating in the formation of commercial and economic blocs, Bolivia became a nation that lost advantages and commercial quality, because in the last 12 years it was isolated almost completely from trade negotiations with other countries’. blocks, except for Mercosur, while the neighbors took a step forward by signing regional and hemispheric agreements. The report of the Economic Commission for Latin America and the Caribbean (ECLAC) entitled: “Perspectives on international trade in Latin America and the Caribbean” recommended the strengthening of regional integration to confront the world economies and the regional recovery in a context of uncertainty and the growing protectionism of the central economies. The government policy distanced the option to negotiate new trade agreements, whose decision would be an error. According to the manager of the Bolivian Institute of Foreign Trade (IBCE), Gary Rodríguez, the country should move forward with new integration agreements; a small economy must be oriented to others of greater dimension because of the importance of economies of scale. “This virtuous benefit of moving from the commercial towards the economic, and complementing the economies with the investment, the administrative management technology (knowledge) we need, requires addressing new generation agreements,” he reflected. 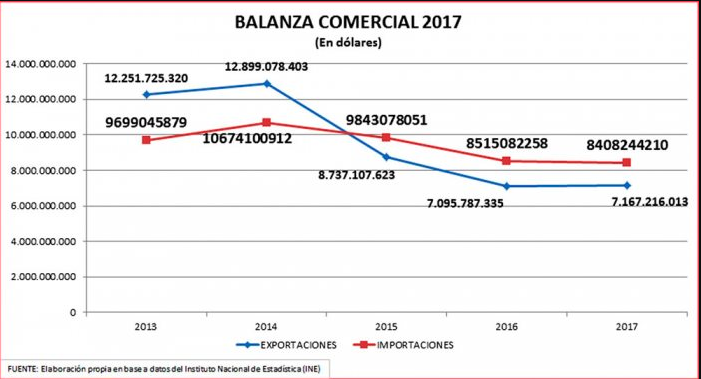 The former president of the National Chamber of Exporters, Guillermo Pou Munt, dismissed at some point the rearticulation of the United States’ Atpdea and said that the private sector should consider new agreements. Foreign Minister Fernando Huanacuni said at the beginning of last December that on the occasion of the presidential summit that took place in Brazil on December 5, with the presence of the presidents of both countries, Evo Morales and Michel Temer, that Bolivia is one step away to be recognized as a full member of the Common Market of the South (Mercosur), only the approval of Brazil is missing. “We are only one step away, because the Brazilian Congress, in its technical stages of international relations, will soon approve (the accession) and Bolivia will be a full member of Mercosur,” said Huanacuni, despite the political differences between both regimes. However, in any scenario, competitiveness will play an important role, since the absence of this advantage leaves the country less favorable to its neighbors, that is, the dilemma seems to be posed to the process of passing on comparative advantages (provision of factors or raw materials) to another stage that are precisely the competitive advantages. In this regard, the economist and trade expert Darío Monasterio recommended participating in the negotiations being carried out by Chile and Peru, together with the United States, within the framework of the Trans-Pacific Treaty, which also included Japan and eight other countries. Negotiations between Bolivia and the European Union did not prosper and lagged behind, while Peru, Colombia and Ecuador came to fruition. The European Union (EU) is one of the most important markets in the world, with 500 million consumers and an average income of US $34,000 and this was also understood by the countries that also belong to the Andean Community of Nations (CAN), some of which, like Peru and Colombia, they advanced negotiations with this block and today enjoy tariff preferences, boosting trade, as recently commented in Santa Cruz by the consultant and specialist in this topic, Gonzalo Vidaurre. Rodríguez insisted that Bolivia had a long tradition of integration, which unfortunately has stopped in the last 12 years. Bolivia managed to sign more than twenty trade agreements since the creation of the Latin American Free Trade Association, Alalc, the Cartagena Agreement, the Andean Group, Aladi and various bilateral treaties in that area. Rodríguez recalled that the country was a participant in the Latin American Free Trade Association, as a founder in 1960; after its relaunch as the Latin American Integration Association (Aladi), which today welcomes 12 countries, including Bolivia. Currently, the country benefits from tariff protection for its sensitive production, such as soy, while its accession to the Common Market of the South (Mercosur) is in the process of being improved. • Integration, key to improve the global insertion of the region. This entry was posted in Bolivia, Business, Economics, Politics, Social Unrest and tagged demagogue, government failures, macroeconomics, state-owned failures. Bookmark the permalink.